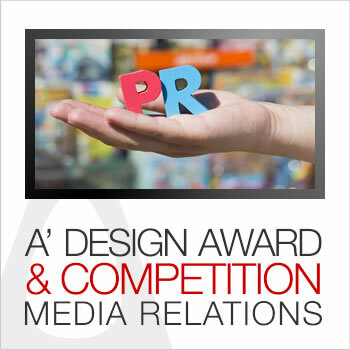 This page provides an overview of A' Design Award media relations policy. A' Design Award depends on media and other publications to help spread the news about our laureates; media relations campaigns are highly important for A' Design Award to ensure that the laureates gets coverage they deserve. We conduct media campaigns in many languages and we target digital, traditional as well as niche publications. We aim to maximize press apperances and mentions for award winning designers; the more coverage and publicity we can have for the design award winners, the more everyone benefits: 1) Firstly, the exposure of award winners help winners themselves to sell more products or get more jobs, when our laureates enjoy a return on investment, they are more likely to rejoin the design competition once again, and actually that is why we actively remind and update laureates about new publications. 2) Secondly, when our laureates gets featured in media, that increases the prestige and fame of the design award, a higher prestige and a heightened awareness of the design competition among public benefits all design award winners – not just the featured designs. 3) When A' Design Award award winning works are featured, the competition is also featured, this gives us ability to attract new participants and entrants with fresh and new innovative products and projects, indeed for A' Design Award, perhaps the best publicity and advertisement is through featuring award winning designers and their works. 4) Featuring award winning designs is our core mission as it helps us create a world that has an appreciation for good design, and it helps us promote good design work that advances society. 5) Additional media coverage and publicity helps us get involved in more international events and happenings, providing us further possibilities for international exhibitions and it also helps us reach further jury members. 6) Most importantly, press coverage and publicity helps us grow bigger and enables us to truly provide international fame, prestige and publicity to our laureates. You can check our design media pages to access some of our databases. The A' Traditional Media Database is manually created by collecting mastheads and impressum pages of periodical publications such as newspapers, printed design magazines and others. To grow this database, we purchase publications from different countries, scan their covers and mastheads and input editor and publication contact information to a database. To reach the traditional media, we often use traditional methods of sending physical press kits that could include merchandise, books as well as digital content such as high-resolution press ready images. We aim to grow our traditional media database since many participants do sincerely like to get featured in national newspapers, national publications as well as televisions, radio and other channels. Every year we aim to update and grow the traditional media database further by adding new publications or by updating contact details of existing publications and press members. A' Design Award actively manages design-media.org which lists a complete list of world's top online design publications, mostly published in English language, or if they are in foreign language usually the best from their countries. We actively pitch this database regarding award winning designs and laureates. It is our duty to keep the online media database of design publications updated. To update this list, we conduct search engine queries and we try to discover new publications that we have not seen in the past by visiting search engine results, furthermore we also check if these publications themselves link to other good design publications, we also ask focus groups of designers to tell us the publications they read and we also ask award winning designers themselves to tell us the publications they read so that we can target all new publications. It is very important for A' Design Award to keep the online media database of design publications up to date, for this reason we have integrated several days in our official calendar for focusing purely on media database update process. This is a mixed database of traditional and online publications throughout the world. We update it each year to include new international publications to whom we could send news about award winning designers. The International Media Database includes both design and design related publications as well as niche media publications. We do not share this database with participants, however we try to grow it further each year by hiring public relation specialists from diverse countries to build, update and refresh the databases. Our public relation specialists usually refers each year dozens new publications, and since we usually employ several pr specialists from about fifty countries, we are able to gather a database of about thousand new publications each year once the duplicates are removed. We pitch this database usually during results announcement period and we send press releases in almost all languages to have laureates get published internationally. A' Design Award has translated the A' Design Award call for entries and A' Design Award results announcement press releases to almost all languages. Every year, we send press members throughout the world these call for entries around January and every year we send press members worldwide the results announcement around April after results are public. In addition we hire third party public relations specialists from different countries, the local pr agents communicate the editors in their own language, and this fastens the communication and makes the pitching easy and relevant, the pr agents are empowered; they can access press resources to reply press members fast, they can access international translations etc but more importantly they are given economic incentives for each press feature. We communicate any publications to our laureates, so that they know that we got them featured at which publication. The Global Multi-Lingual Media Campaign has a grand budget. This is an annual campaign with a huge advertising budget where we sponsor several articles, editorial placements, sponsored content, advertorials, and editorial articles at major design publications throughout the world. Every year, we contact the publications that we determine as the world's top design publications and ask them if they could publish several articles featuring the design award winners, design award call for entries, design award results and similar. For the Major Press Campaign, as well as other campaigns we do not push editors to publish specific designs or laureates, we always asks the editors themselves to choose the designs, and we also ask the editors to write the articles to ensure that the content is natural and fair, good designs get published more often and the article fits the readers tastes as well as views. The only thing we require from the publishers and press partners is to include a call to action for registration or nomination so that we can reach also new participants. Major Press Campaign has the highest percentage in our media budget. In addition to active press opportunities that we seek through our press partners, major media campaigns, and global multi-lingual media campaigns we also take part in initiatives to attract press members who are seeking good design content towards A' Design Award laureates. In order to attract the interest of press members from diverse countries, content is translated into multiple languages, furthermore the necessary procedures such as editorial sponsorship fund, press-kit.org and press portal has been created to match and respond the needs and requirements of design editors. Regardless of what we have already done and achieved to attract press members, we always look further for new ways to engage editors such as the Design Interviews platform where press members can access and use interviews with designers. One of the ways we attract further press members is through participation in international design events, through organization of international design exhibitions and through distribution of digital press kits to local and niche publishers. A' Design Award and Competition has partnered with many prestigious design publications. Our press partners are featured in our website and our good design yearbooks but more importantly, we keep them updated about new laureates, events and happenings. We send physical press kits to press partners that also includes gifts and merchandise. We send physical press kits that includes yearbooks and merchandise not just to our beloved press partners but also many major design publications, traditional or online. We also invite press partners to provide us with jury members whenever possible, having press and design media as jury enables us to first of all showcase award winners to influential editors worldwide so that they could actually discover and feature more works that are not only good and attractive but are also relevant to their publications. We get majority of press partners through our in-house efforts however we also benefit from the suggestions by the international pr agents. The A' Design Award Press Portal was created in order to help press members reach the information they seek easily and in a fast and efficient manner. After the press accreditation process, the accredited press members are able to access a plethora of information regarding the competition such as press releases in many languages, interviews with award winners, additional photos and images of laureates reserved only for press members, public campaign images, links to advertorial and editorial sponsorship opportunities, access to image library, profile details of award winning designers as well as editorial images and visuals that could be used by press members to write their articles in addition to services we provide for press members; such as our service to write and prepare articles for the press members so that they could use these articles we prepare for them as a basis to publish new articles regarding our winners. Every year, during December before the end of the year, we aim to revise the design press database by extending list of publications in each of our databases, and we also aim to update existing services or create new services and benefits for press members. By keeping our database new and fresh, we can reach new editors throughout the world who are looking for dynamic, design oriented content. The Annual Media Database Revision has been integrated to our corporate calendar to ensure the press contacts stay fresh and updated. 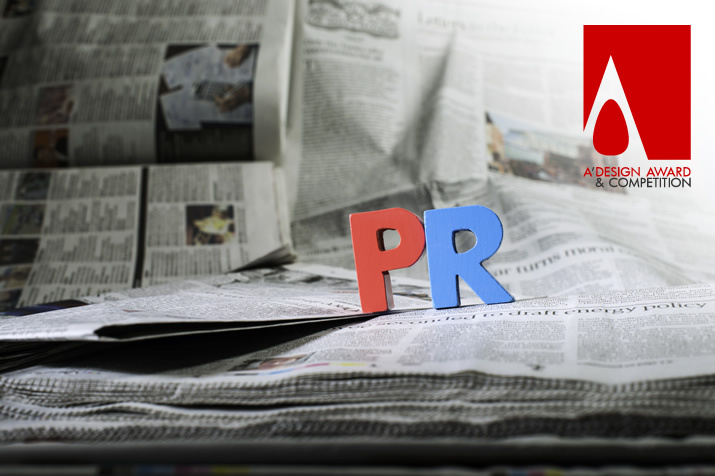 We prepared this page to remind us that press and public relations is at core of our business and conduct, we hope to get award winners featured at more and new sources every year. This is a platform where designers exchange contact information of press members. Using the Impressum Exchange at A' Design Award 1) Designers can upload covers and mastheads of design magazines or other traditional publications, inputting information about editors and publishers at one page. 2) Designers who register a new publication, update an old publication or who input new information can access contact information of editors worldwide. It is important to note that to be able to use this service, you need to register some publications to it, or you can request an access pass if you are not going to share editors information. Requesting an access pass is subject to a fee but if you wish to access the information free, it is best to register publications so that every other designer who registers a publication benefits. Registering a simple publication unlocks 16 other publications; so if you register for example 5 new design publications to Impressum Exchange, you can access contact information of 80 publications worldwide. A' Design Award & Competition annually reaches thousands of editors in almost all countries, who use our press portal to write great stories and articles relating to good design. Discover our Press Portal.